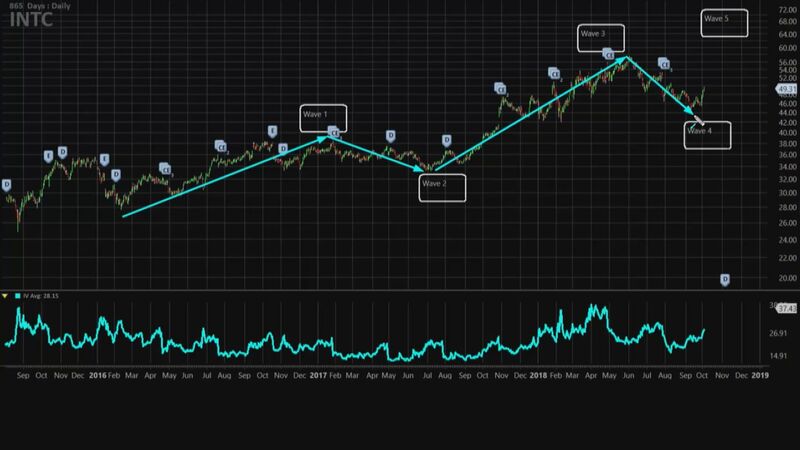 Intel has been lagging the semis as a whole this year, but TradingAnalysis.com founder Todd Gordon says the charts are pointing to a breakout for the chipmaker. "There's been some deeply oversold technical support coupled with a fundamental story that's coming back in favor with Intel," Gordon said Wednesday on CNBC's "Trading Nation." First, Gordon points out that Intel is currently finishing the fourth phase of the classic Elliott Wave theory, and the fifth phase is suggesting a final move up. 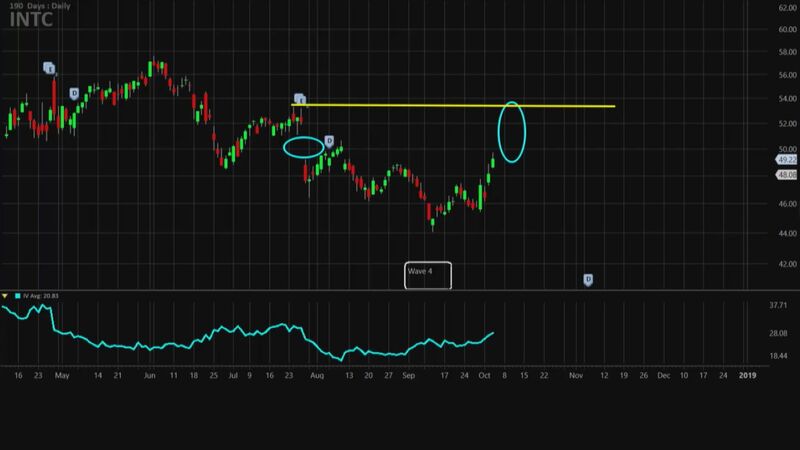 The Elliott Wave theory posits that market trends, or in this case a stock, moves in a wave pattern that could predict the next leg up or down. Secondly, he says Intel has recently broken downtrend resistance and has actually established a new support. This, according to Gordon, means that Intel is now positioned to close a downward gap back in late July that resulted from a plunge following earnings. In this case, Gordon believes that Intel could return to old highs at around $53, just prior to the post-earnings drop, and move on to new highs. Because implied volatility, or the price of options, is rising for Intel, Gordon looks to sell a put spread. He is selling the November monthly 50-strike put and pairing that with the purchase of the November monthly 45-strike put for a credit of around $1.85, or $185. Should Intel close above $50 on Nov. 16 expiration, then Gordon would make the $185 credit on his trade. But should Intel close below $45 on Nov. 16, then Gordon would lose $316. While the reward to risk ratio is skewed, Gordon isn't concerned because Intel is already was just over $48 on Wednesday. However, should Intel fall below a support level of $47.50, Gordon says he'll get out of the trade. Intel is up over 4 percent year to date.